Not-for-profit hospitals are exempt from most taxes, and seemingly for good reason — they seek to conduct valuable clinical research and offer care to Americans who can’t afford treatment elsewhere. Recently, though, those noble goals have been called into question, as some hospitals fell victim to the sort of financial scandals that might have made Kenneth Lay blush, and others failed to live up to their charitable missions. Government officials have proposed regulations for hospital boards of directors, hoping that stronger oversight will keep chief executives in check and maintain high standards of both accounting and patient care. A new Journal of Health Politics, Policy and Lawstudy examined whether more desirable hospital board governance — the end goal of these laws — leads to greater community benefit. They found little evidence of a relationship, suggesting new rules might not provide much help. Nonprofit hospitals account for more than four-fifths of the community hospitals in the U.S., serving tens of millions of Americans. Like all health care providers, they’re heavily regulated, in areas from privacy to seismic structural integrity. Yet few rules govern their boards, which are supposed to act as voices of the community, holding the organizations accountable. In the for-profit world, accounting scandals and multimillion-dollar losses at corporations like Enron led to restrictions on boards and financial practices, typified by the Sarbanes-Oxley Act of 2002. As nonprofit corporations have faced their own troubles with inflated executive pay and mismanagement, officials have called for Sarb-Ox-style rules for nonprofits, including hospitals. Sen. Charles Grassley is one of many federal legislators taking not-for-profits to task, and congressional hearings helped persuade the Internal Revenue Service to increase the amount of information the organizations must include in tax filings on such figures as executive pay. Among hospitals, even those not guilty of egregious misfeasance have come under fire for taking in too few low-income patients to justify tax exemptions. At least one state has landed in court for withdrawing preferential tax treatment from hospitals that apparently weren’t up to snuff. While some proposals have increased transparency requirements, others would change the way hospital boards operate. Yet despite anecdotal evidence that board changes can lead to stronger influence over agenda and management, few hard data have proven that. University of Michigan professor Jeffrey Alexander led a team searching for a correlation between the structure of a board and the community benefits of the hospital it advises. The researchers looked at the late-1990s performance of hospitals in Texas, California and Florida — three large states with heavy transparency requirements — focusing on indications of board independence, such as how many of the directors came from outside the organization and whether a hospital had a separate advisory board drawn from the community. As the authors sought links between board structure and community benefit, they faced the challenge of measuring how the hospitals helped their local areas, a task made difficult by their charitable missions. They settled on a group of factors, including how well the hospitals increased access to the underserved and how much each focused on plans that involved the health of its broader community. What they found might make would-be regulators cringe: There was only a weak correlation between the boards’ structures and how well their respective hospitals functioned for most benefits they measured. Alexander’s study did show that when boards tracked chief executives via specific performance measures related to the community, hospitals increased their engagement with locals. Some researchers advocate taking this idea a step further by regulating the hospitals’ community performance directly. University of Nevada, Las Vegas professor Gregory O. Ginn, for example, believes the market is so competitive for nonprofit hospitals that many are acting like investor-owned corporations. Instead of changing their board structures, he said, states should remove all tax exemptions, create laws that specify levels of community benefit for every health care provider and let the market take care of the rest. Hospital executives could be resistant to that kind of regulation, but they might accept more concrete guidance on what sort of charity work is necessary to maintain their tax-exempt status. “What you need is for states to be in active dialogue with the people running hospitals about what really comprises community benefit. 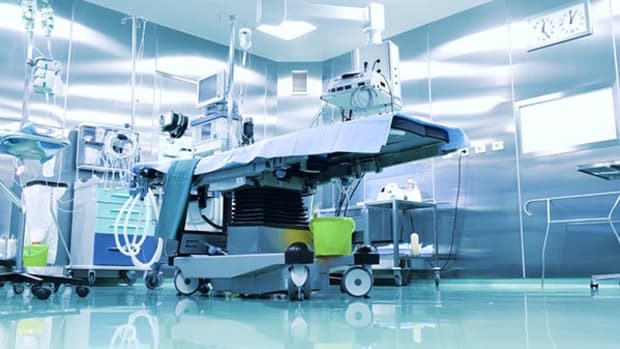 They need to ask: ‘What do you really want hospitals to do?’” suggested Mike Koetting, vice president for planning, finance and strategy at the University of Chicago Medical Center and an instructor at its School of Social Service Administration. When it comes to governance and boards, policymakers still can’t be sure what exactly to tell them. That’s partly because schools of public health don’t know enough to give them good advice. Alexander’s seemingly well-designed study runs contrary to the assumptions of many in the field, and its conclusions indicate just how much they’ve yet to learn. Pharmaceutical companies in the European Union are blocking off-label drugs for executions. U.S. drug firms donate $6 billion yearly overseas. 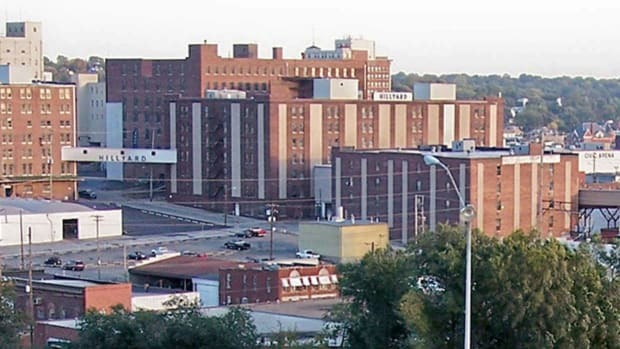 Senator Charles Grassley has asked a Missouri non-profit hospital to explain why it seizes the wages of thousands of its patients.